Whether you’re in search of sunny skies or festive ambiance, Santa Fe is a prime destination during the holidays. Outdoor adventures, fine dining, holiday shopping and entertaining events all await in this vibrant Southwestern city. 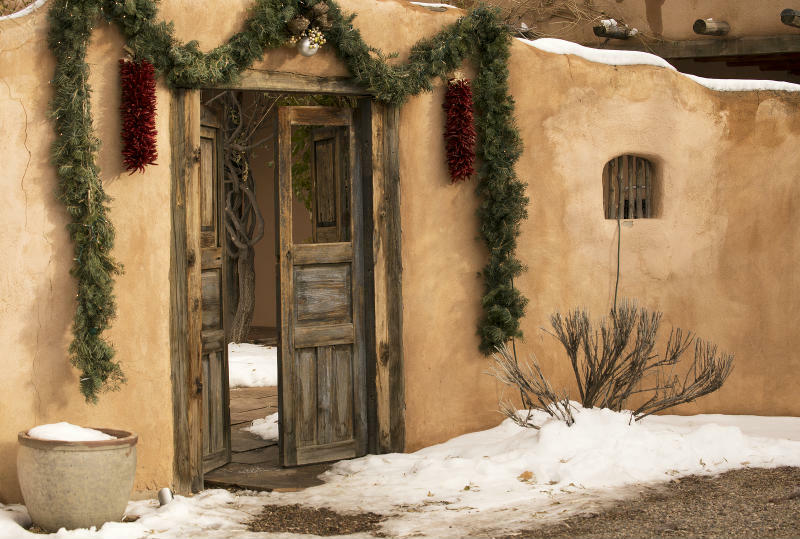 With so many Santa Fe Christmas events, there’s sure to be something to please everyone. If you’re in search of high-quality arts and crafts and one-of-a-kind gifts, visit the Museum of New Mexico Foundation’s five museum shops. Discover original works by notable Native American artists, pottery, jewelry, Zuni fetishes, sculptures and books. Don’t miss this annual Christmas Pops concert at The Lensic, led by Principal Conductor Guillermo Figueroa, and featuring a special side-by-side performance with The Santa Fe Youth Symphony! Featuring Christmas standards as selections from the Nutcracker Suite, White Christmas, Sleigh Ride, and Fantasia on Greensleeves and more!. Surround yourself with the magic of Aspen Santa Fe Ballet’s The Nutcracker. This iconic production has become a seasonal tradition in Santa Fe. Get into the holiday spirit and create a lifelong memory when you enjoy this whimsical twist on the classic story. Experience the enchanting sounds of A Baroque Christmas, a local tradition produced by the Santa Fe Pro Musica Baroque Ensemble, including Inn owner David Solem, at the Loretto Chapel. 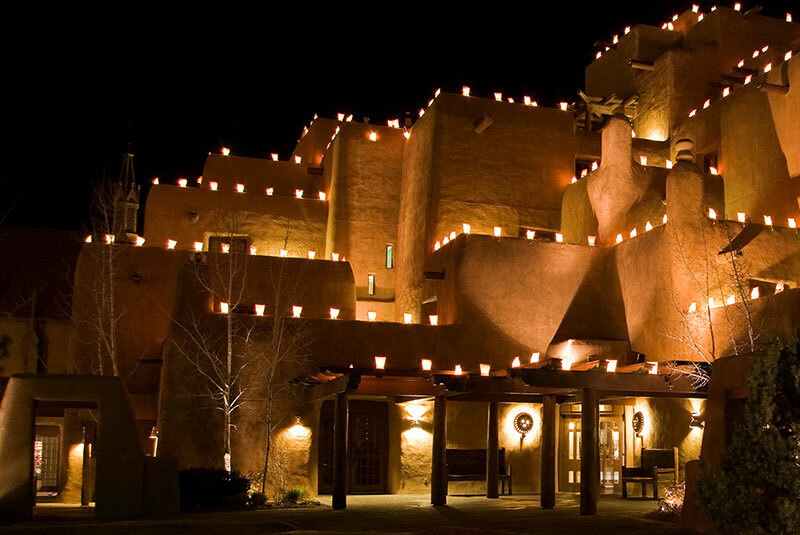 Immerse yourself in one of Santa Fe’s most beloved holiday traditions, where thousands of farolitos (little lights made out of paper bags) cast a glow on century-old buildings along the road. Take in the aroma of burning piñon logs in the crisp mountain air and savor hot chocolate and warm biscochitos while you enjoy the sounds of street musicians playing traditional holiday songs. Santa Fe Pro Musica performs Bach’s famous Brandenburg Concertos featuring Inn Owner, David Solem on Harpsichord. Lensic Performing Arts Center. Choose one or do it all! There are so many Santa Fe Christmas events, it may be hard to narrow them down, so why not stay with us a few extra nights? After a day of exploring and celebrating, come back to your inviting room at Inn of the Turquoise Bear. Snuggle up in front of the fireplace with a warm drink before falling into the plush bed for a good night’s sleep. 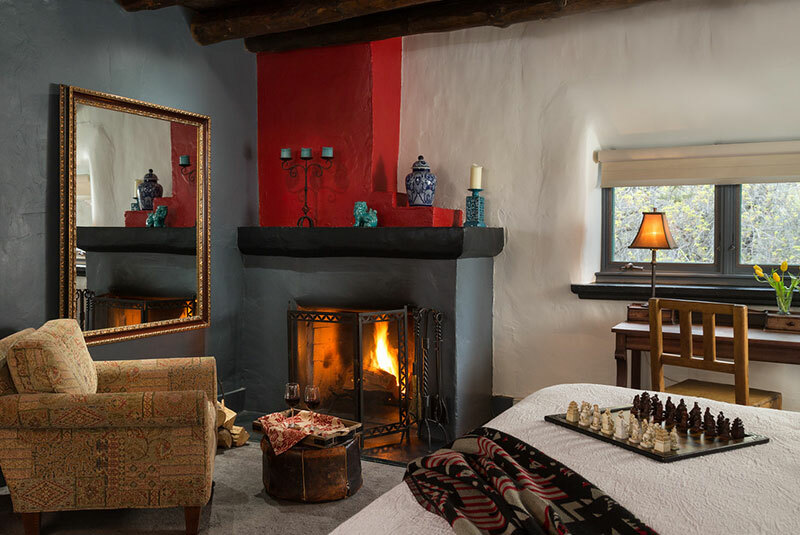 Book your Santa Fe holiday getaway today!